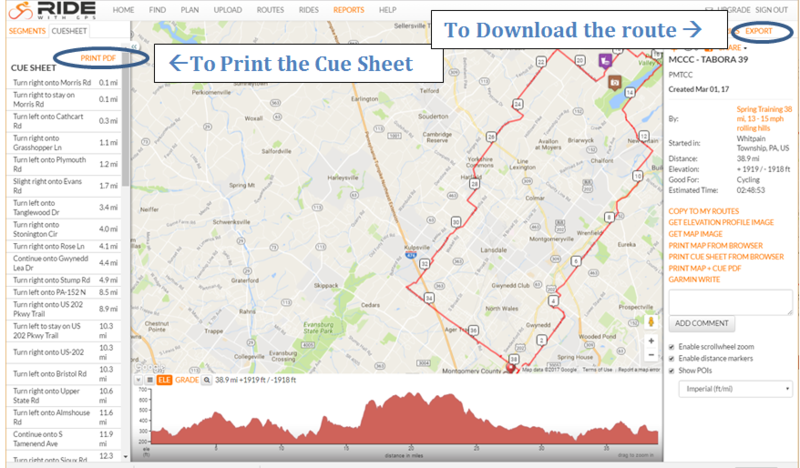 The screenshots below illustrate the initial steps to print cue sheets and/or download the Club's routes to your Garmin or Phone. 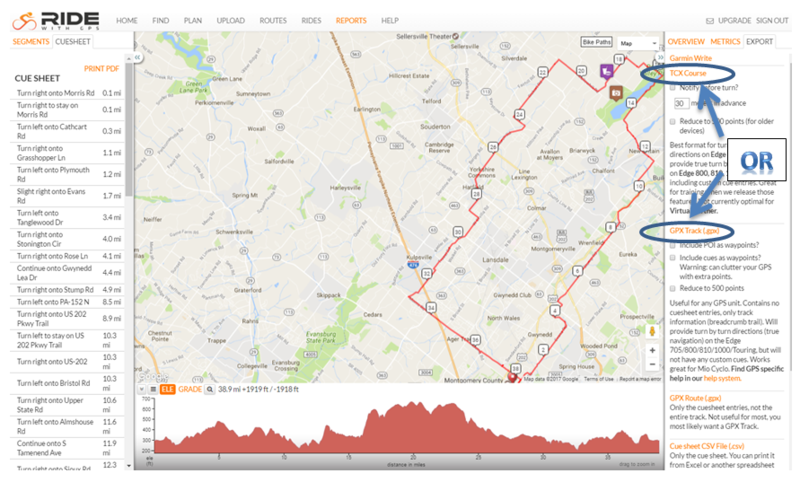 As a member you can visit the Join the Philly MTCC Ride with GPS Club site and download the routes to your phone for free. The instructions for joining were emailed to members.